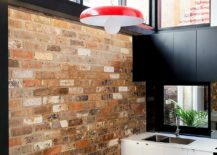 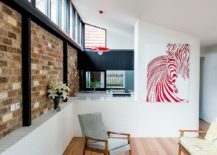 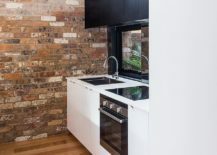 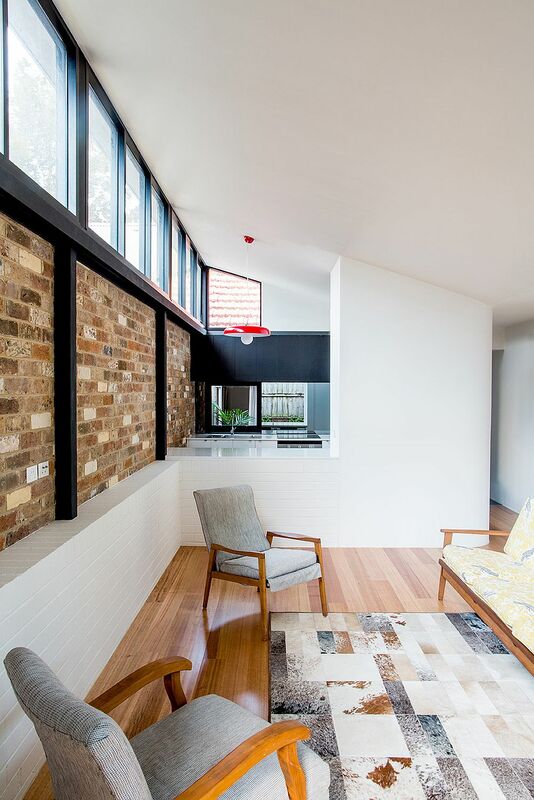 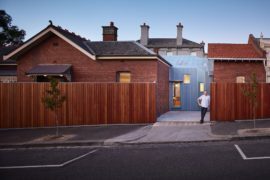 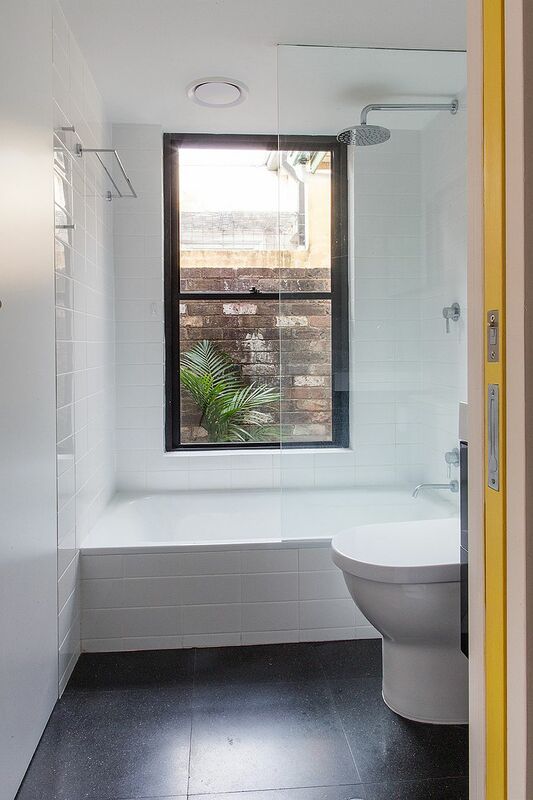 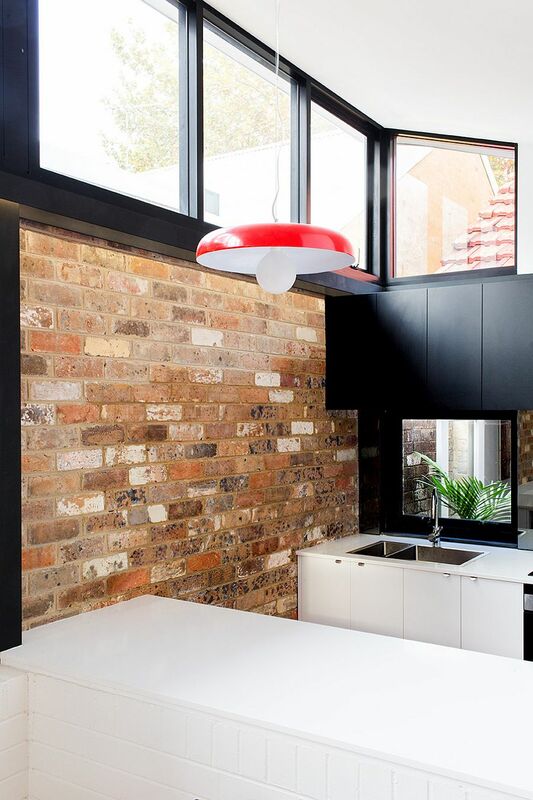 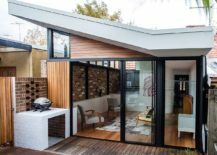 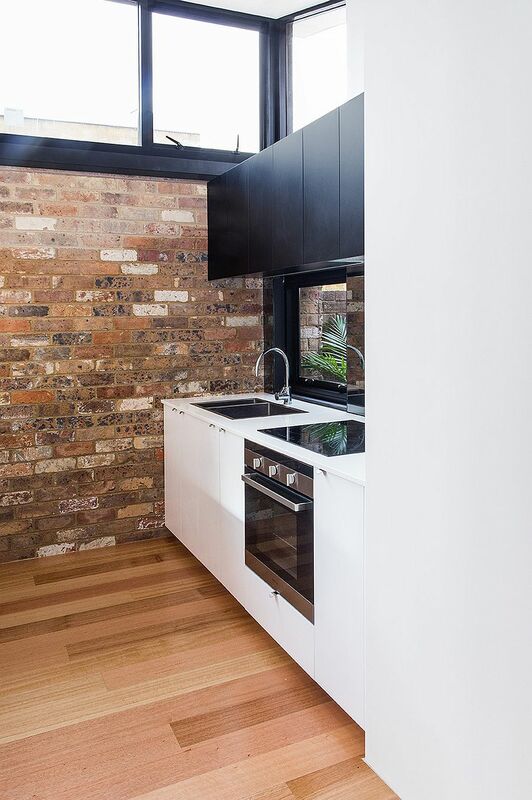 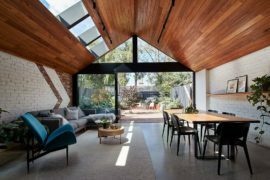 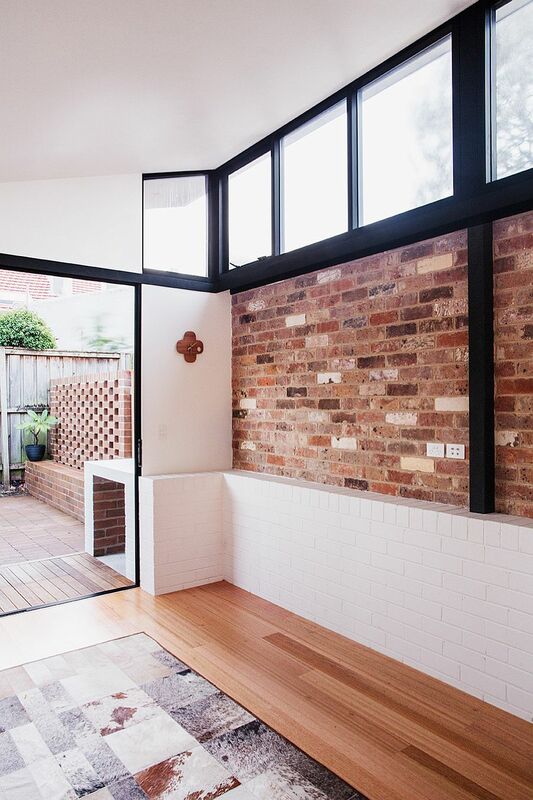 If you love the sight of exposed brick walls weaving their way through a contemporary interior, then this renovated inner city worker’s cottage in Annandale, Australia promises a visual treat! 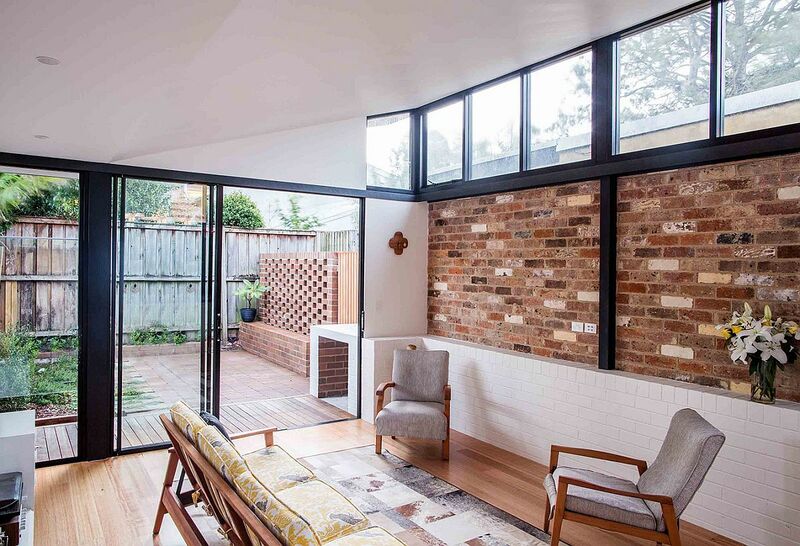 Revamped and modernized by Bastian Architecture, it is a dashing rear extension that alters the ambiance of this classic home nestled in a heritage neighborhood. 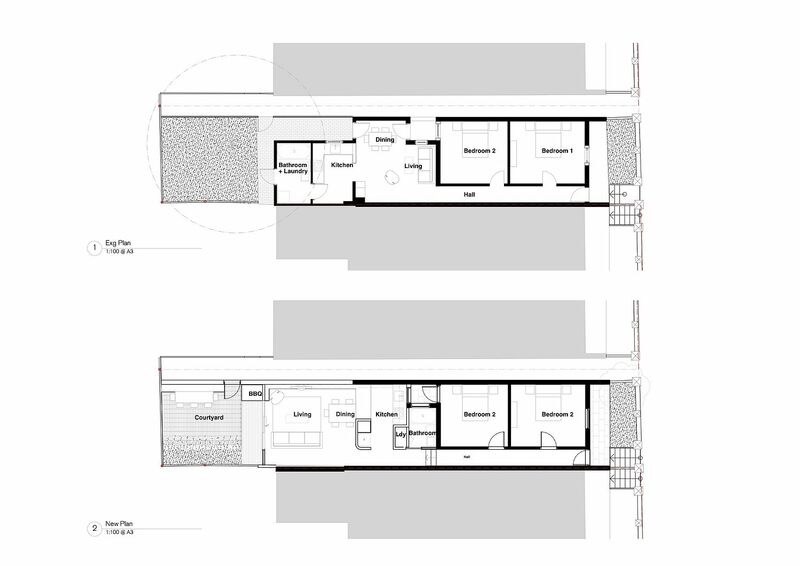 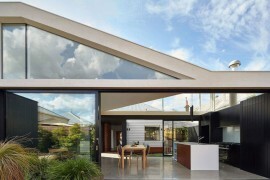 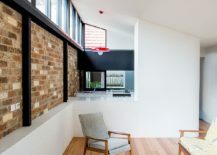 Existing building constraints meant that the street façade of the house was left completely untouched while a modern living area, kitchen and dining were added to the rear. 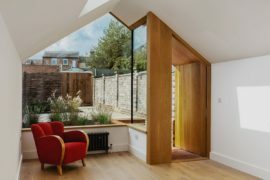 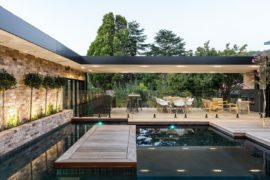 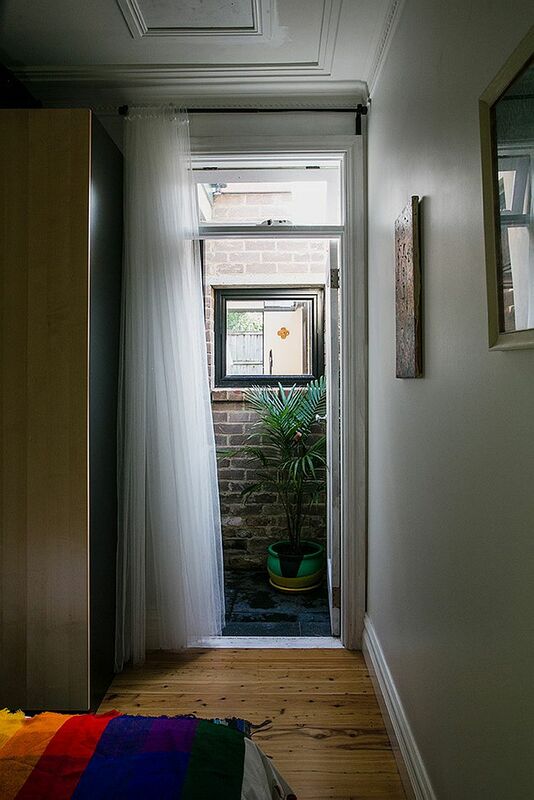 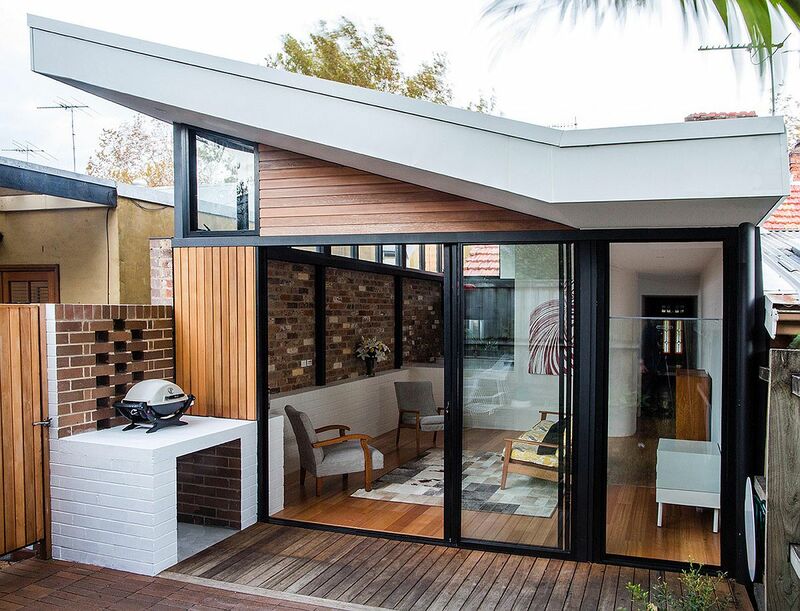 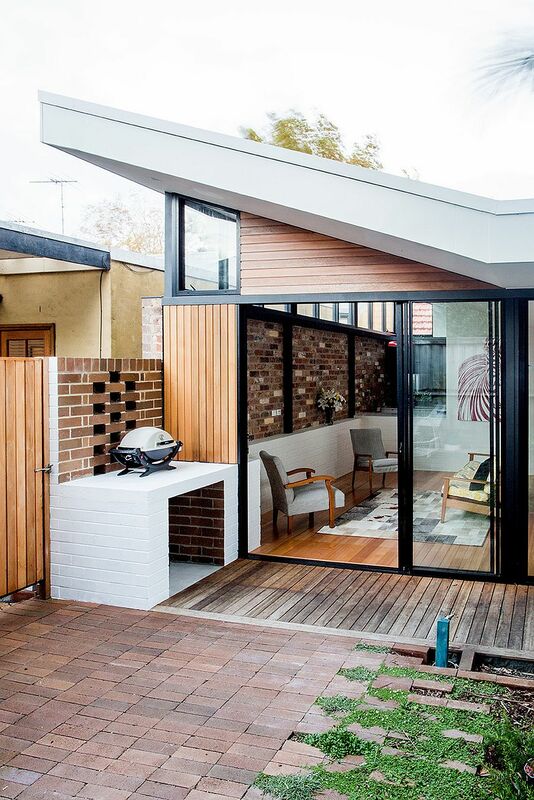 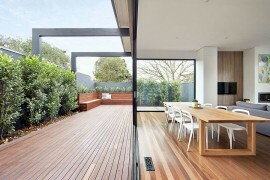 Connecting the rear garden, smaller inner courtyard and barbecue zone with the living space, the revitalized interior is filled with a flood of natural light. 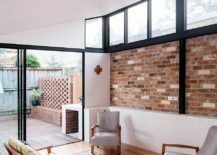 It is an exposed brick wall that act as the visual link between the open living area, kitchen and the lovely courtyard just outside. 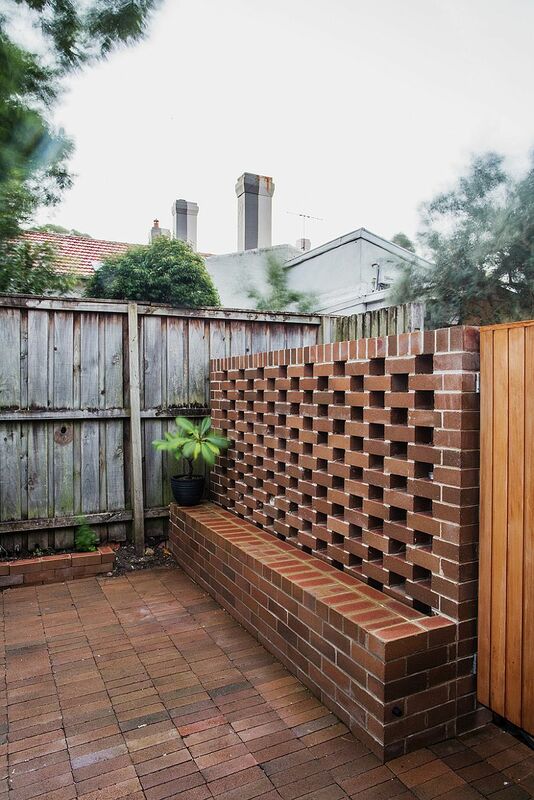 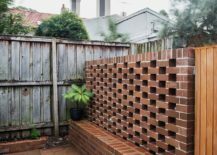 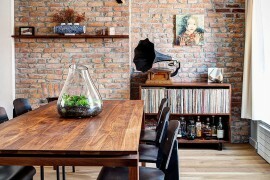 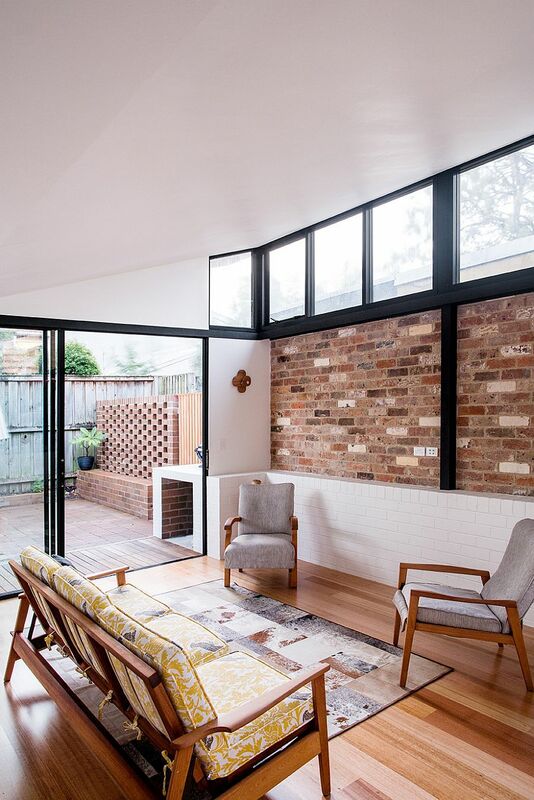 Starting its journey at the kitchen bench, the recycled brick wall meanders through the living room, becomes all too apparent at the barbecue zone and ends it journey by morphing into a long bench seat at the end of the courtyard. 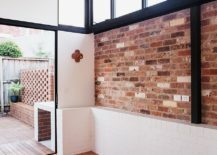 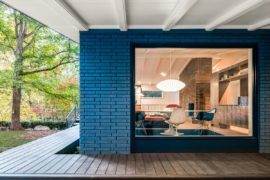 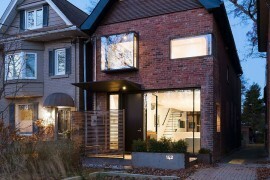 It is this continuous presence of brick that gives the addition its unique appeal even as the lovely clerestory windows above usher in a hint of modern industrial flair.